Nature is the nemesis for winter athletes. If the elements aren’t in your favour, four years of gruelling preparation can come to nothing. 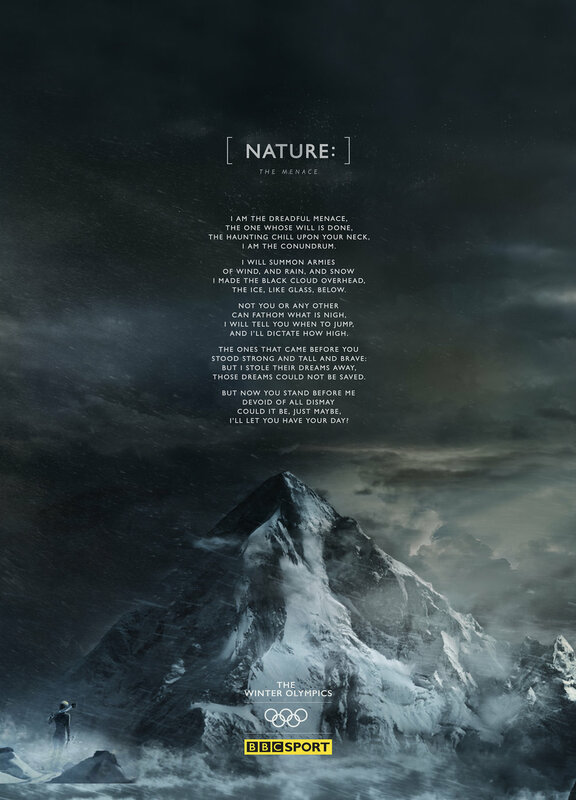 We dramatised this notion by giving nature a voice. We wrote poems for TV and radio and got Britain’s most handsome pensioner, Charles Dance, to read them in a chilling tone. Director Tomek Baginski brought to life a beautiful blended world of live action and CG for the trailer and titles sequences on a tiny budget and made it look like something to come out of Hollywood.